Is your diet feeding or defeating disease? Forget everything you think you know about your body and food, and discover the new science of how the body heals itself. Learn how to identify the strategies and the dosages for using food to transform your resilience and health in EAT TO BEAT DISEASE. We have radically underestimated our body's power to transform and restore our health. Pioneering physician scientist, Dr. William Li, empowers readers by showing them the evidence behind over 200 health-boosting foods that can starve cancer, reduce your risk of dementia, and beat dozens of avoidable diseases. EAT TO BEAT DISEASE isn't about what foods to avoid, but rather is a life-changing guide to the hundreds of healing foods to add to your meals that support the body's defense systems, including: Plums Cinnamon Jasmine tea Red wine and beer Black Beans San Marzano tomatoes Olive oil Pacific oysters Cheeses like Jarlsberg, Camembert and cheddar Sourdough bread The book's plan shows you how to integrate the foods you already love into any diet or health plan to activate your body's health defense systems-Angiogenesis, Regeneration, Microbiome, DNA Protection, and Immunity-to fight cancer, diabetes, cardiovascular, neurodegenerative, and autoimmune diseases, and other debilitating conditions. 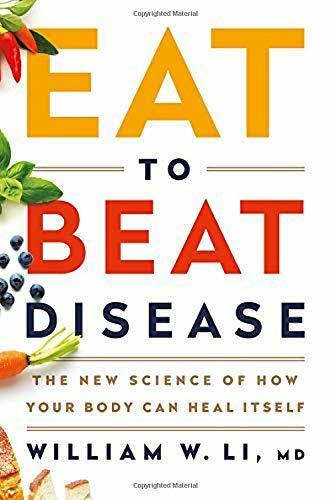 Both informative and practical, EAT TO BEAT DISEASE explains the science of healing and prevention, the strategies for using food to actively transform health, and points the science of well-being and disease prevention in an exhilarating new direction.